Has it been three years already? I guess so, since our newest editions of Operations Management (13th ed.) and Principles of Operations Management (11th ed.) are due out on January 15th! Jay and Chuck and I really excited about all the new features in these books and in MyLab Operations Management. Over the next few weeks we will highlight the changes for you. But today, we want to describe the themes of the books. About 21 years ago, Jay and I decided to focus on a different well-known company in each edition. We created a series of video case studies featuring the strengths of each firm, and discussed those firms throughout the edition. The covers of each edition, starting with Hard Rock in 2001, also tied the book to that organization. Arnold Palmer Hospital followed, then Darden (Red Lobster/ Olive Garden), Frito-Lay, the Orlando Magic, and Alaska Airlines. As you see, we provide students with a broad coverage of industries, stressing the service sector, as that is where most jobs lie. The idea is to show how important OM is in the real world, with these 45 motivational short films. With our new editions, we decided to talk about the floating cities called cruise lines. What a vast range of OM issues are faced by the Captain of a vessel with 3,000 passengers and 1,800 crew from three dozen countries! The featured firm, on the covers as usual, is the leader in the “premium” market, Celebrity Cruises, based in Miami. 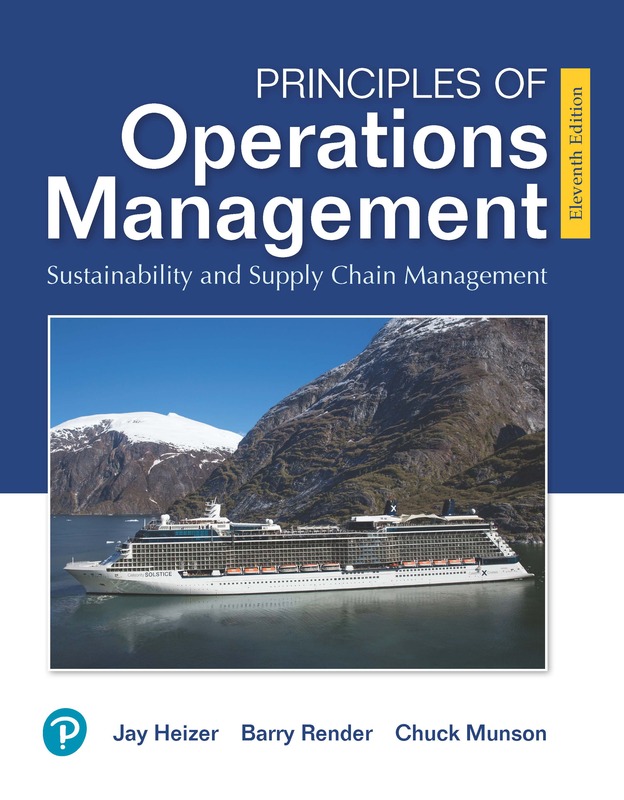 We think the students will really enjoy the five new video cases, which are featured in Chapter 1 (overall use of OM) , Chapter 5 (design of the new ships), Supplement 5 (sustainability), Chapter 6 (quality), and Chapter 12 (inventory). We will take you inside this cruise line for a fascinating look at how operations drives almost every decision on board. Welcome aboard! Barry in the Celebrity Edge control room on its maiden voyage this week.